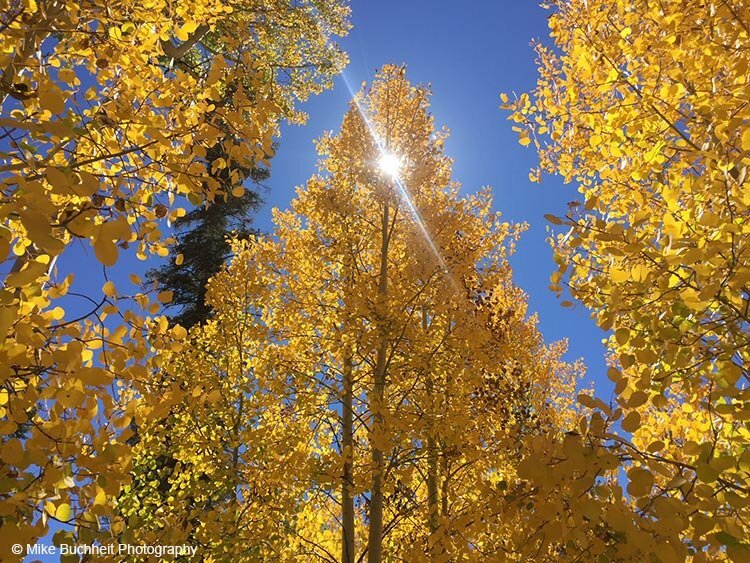 Though not considered a fall colors destination on a scale of the not-to-distant Colorado Rockies, the changing of the foliage on Grand Canyon’s North Rim draws its share of photographers and leaf chasers. 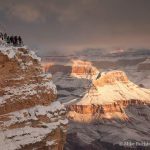 During a recent four-day photography workshop with the Grand Canyon Association Field Institute, this author enjoyed the annual pageant on the North Rim assisting instructor Suzanne Mathia with eight eager students. The shimmering yellow leaves of the quaking aspen provided no shortage of delightful compositions for our camera-wielding posse. My favorite location was the roadside groves on the wending road to Point Imperial. It was hard to take a bad shot surrounded by these white-barked beauties. The display on the North Rim will likely last another week or two, right up to October 15th when most visitor services shut down for the season.